Performance Chiropractic is dedicated to helping you connect to your true potential, whether at home, at play, or at work. 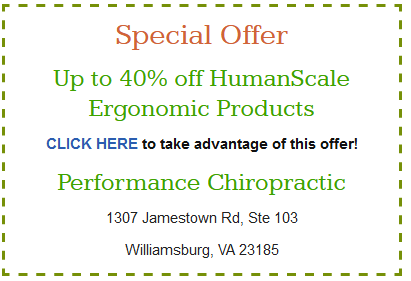 We’ve partnered with HumanScale to offer quality ergonomic products; and we’ve negotiated discounts up to 40% off retail for our patients. 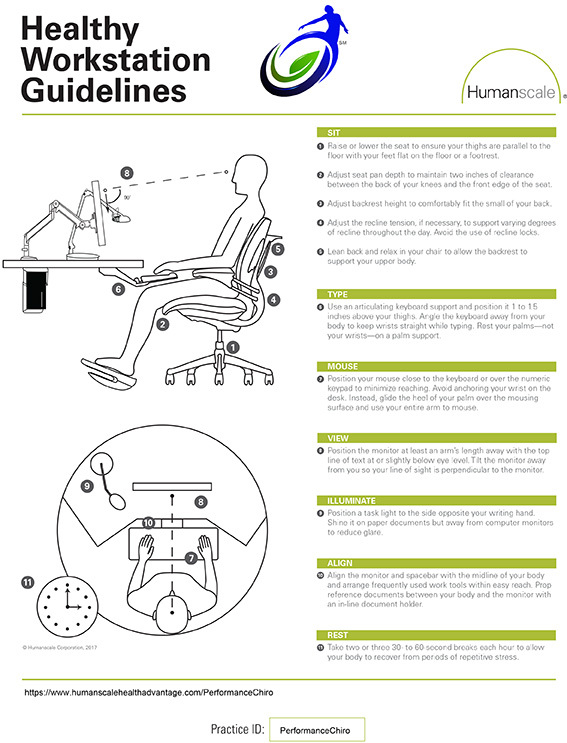 To “survive your work day” – or even if you’re looking for a home office – visit the link below to start sitting and working in comfort!